Yes, everything in America is mostly on the big side, including the car we hired, a Chevrolet. Also the cabin we stayed in at Gatlinburg. In America for 16 days, drove over a 1,000 miles. Starting in New York and finishing in St Petersburg, Florida. 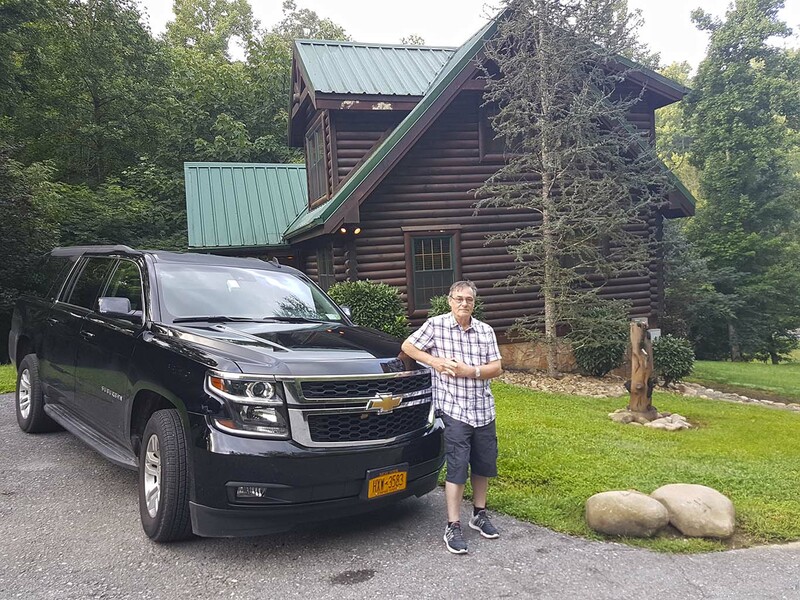 Myself next to the Chevrolet and parked in front of the cabin we stayed in for several nights. Despite warnings of prowling bears, I never spotted one!